Chicagoans like to joke that fall lasts approximately two weeks. The time between the last 80-degree day early in October, and a snowy, bitterly cold day later in the month can really seem like it’s all we get. In reality, though, most years we do get a nice chunk of autumn weather — we just have to bundle up for a lot of it. Fall in Chicago is a wonderful time of the year, so layer up and get out there because there’s a lot to do. Here are our recommendations for what to do on a fall afternoon in Chicago. 1. See the fall foliage. Pretty much everyone’s favorite fall activity all over the world is getting out and enjoying the beautiful reds, golds, and oranges that explode from the trees at this time of year. 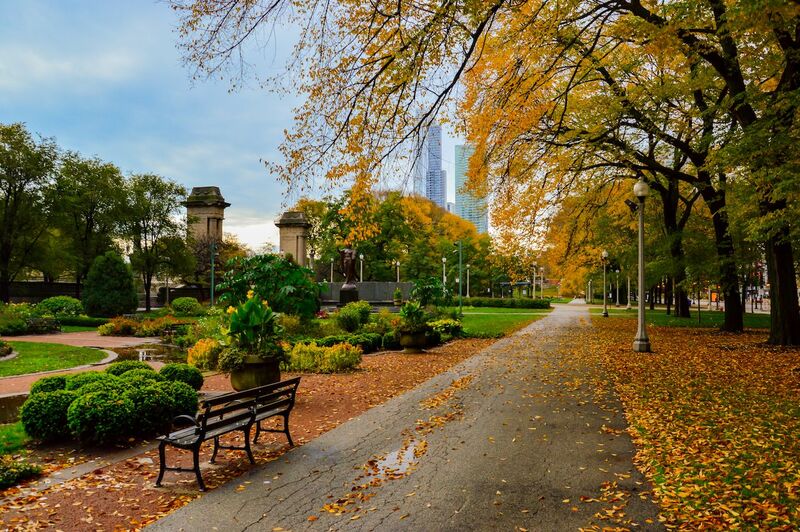 A big city isn’t always the best place to see it, but Chicago’s plentiful parks actually make it an ideal city to see the colors change. The top places to see fall foliage in Chicago are at the parks along the lakefront where the stunning blue of Lake Michigan provides a nice contrast with the colors of autumn. The parks along the Historic Boulevard system are also great, as is the area near the lagoon in Humboldt Park and the Japanese-style Garden of the Phoenix in Jackson Park on the South Side. 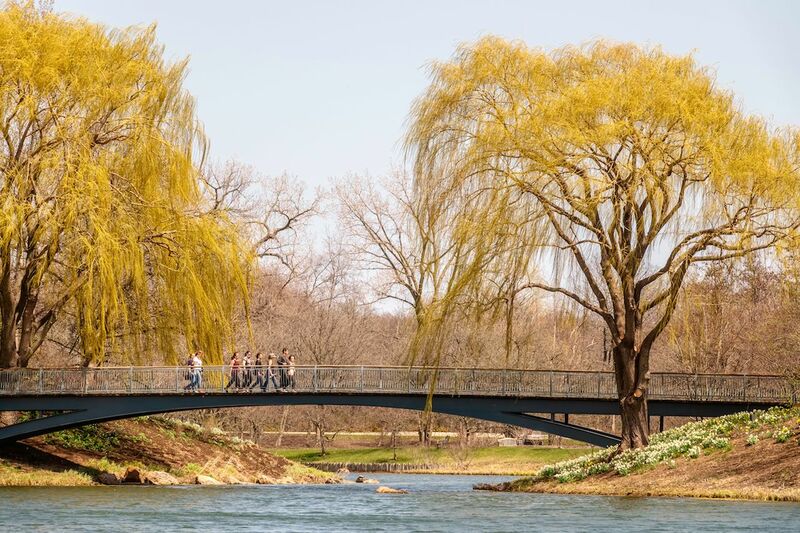 If you want to immerse yourself even more in the trees, head to one of the city’s forest preserves, most of which are located on the far northwest side. 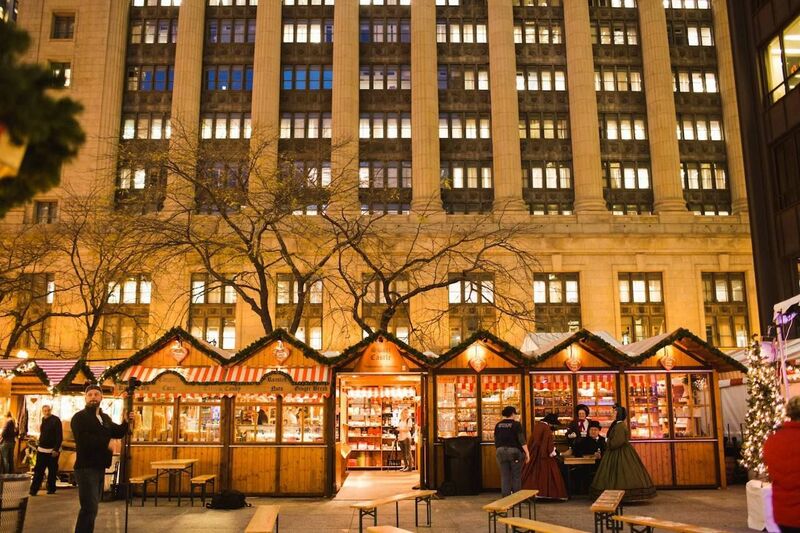 Later in the fall as the holiday season begins, check out the Christkindlmarket at Daley Plaza right in the heart of the loop. This open-air market comes from an old German tradition and it’s a great place for families, groups of friends, and couples. Stop by to do a bit of holiday shopping, see the city’s iconic Christmas tree, listen to music, enjoy seasonal foods, and have either a hot chocolate, hot apple cider, glass of wine, or a German beer. The Christkindlmarket is open every day from the Friday before Thanksgiving until December 24th. 3. Go to a football game. Few things say fall in the US like football, and in Chicago, we’re passionate about it. 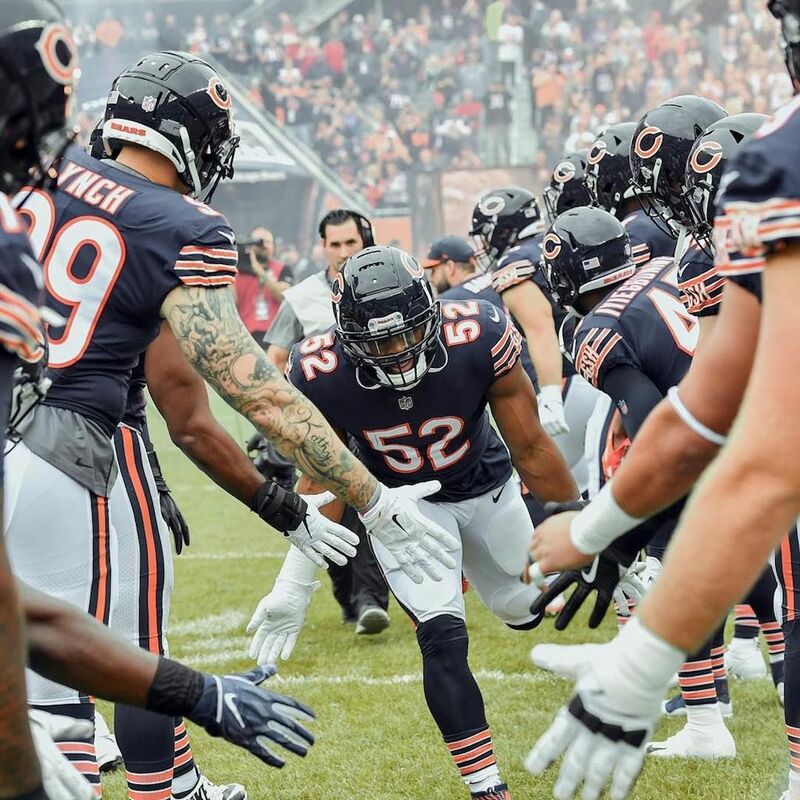 Our professional team, the Chicago Bears, play just eight home games per year, but if you’re around for one of them you should definitely try to get tickets. Chicagoans love our Bears no matter how bad they get, and the atmosphere in the stadium is incredible. If you go, be sure to head to the parking lot before to do some tailgating, that wonderful US tradition of throwing a giant barbeque in the parking lot before a sporting event. If you don’t score a parking pass and drive yourself, you’ll have to try to make some friends out there, but even just walking through it and witnessing how seriously people take the tradition is an experience in itself. 4. See a Bulls or Blackhawks game. Fall is a good time to cram in outdoor activities before the Chicago winter sets in, but sometimes the weather just doesn’t cooperate. For those days, head to the House That (Michael) Jordan Built, otherwise known as the United Center. 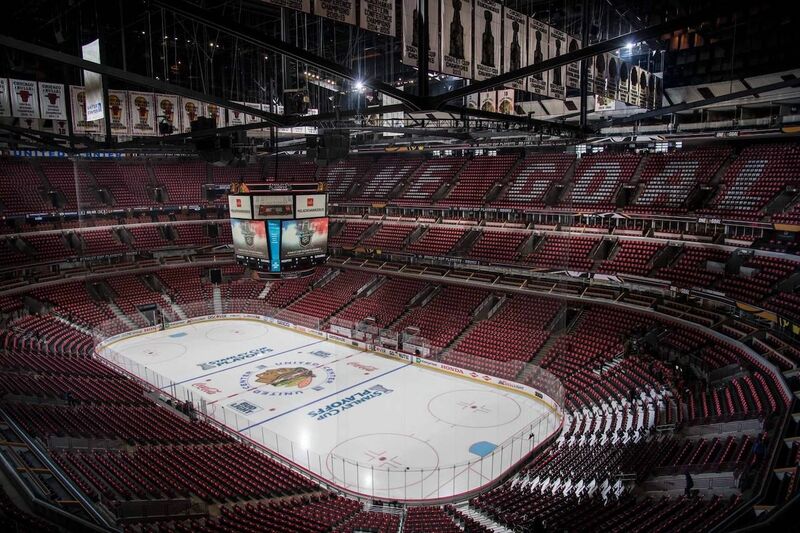 Both the Chicago Bulls (basketball) and the Chicago Blackhawks (ice hockey) play their home games here and seeing either one is a great way to spend a chilly fall afternoon or evening. If the team isn’t playing well, it’s usually cheapest to buy tickets from scalpers on the street outside of the game, especially on a weeknight. Yeah, it’s a cliche, but apple picking in the fall is also a lot of fun. While there are no orchards in the city, there are dozens of them within an hour’s drive. Depending on what part of the city you stay in and the traffic at that time of day, the closest one could be in any direction so check the GPS map. If you’re going with kids (or looking to get in touch with your inner one), visit the County Line Orchard in nearby Hobart, Indiana for the full fall experience. 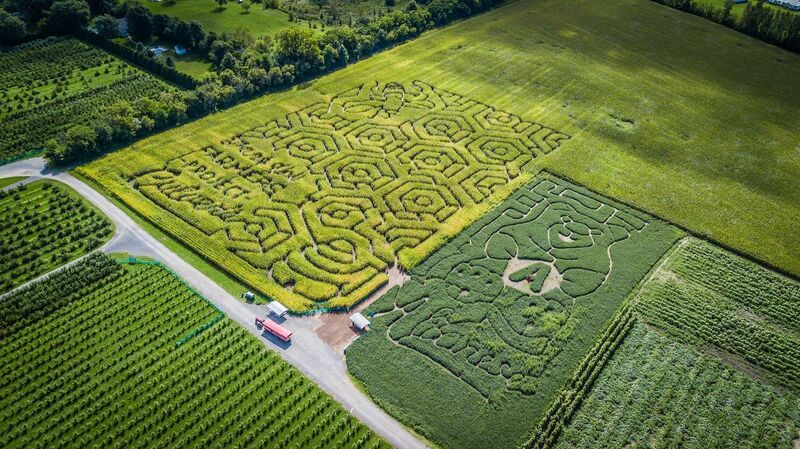 They have apple picking, a pumpkin patch, corn maze, bakery, petting zoo, and live music on weekends. As nice as the fall foliage can be in the city locations we mentioned earlier, nature is just better outside of the city pretty much anywhere in the world. If you’re willing to drive a few hours, you can find some incredible autumn leaves on the bluffs over Lake Michigan in Door County, Wisconsin; along the Mississippi River in Galena, Illinois; and in the rolling hills west of Madison, Wisconsin. If you want to stay within an hour of the city, check out the waterfalls and canyons of Starved Rock State Park, the dunes at Indiana Dunes National Lakeshore, or the wonderful landscapes of the Chicago Botanic Garden. 7. Own the F out of fall. Our final suggestion on how to enjoy fall in Chicago and stick it to the autumn haters is to just unapologetically enjoy the season. 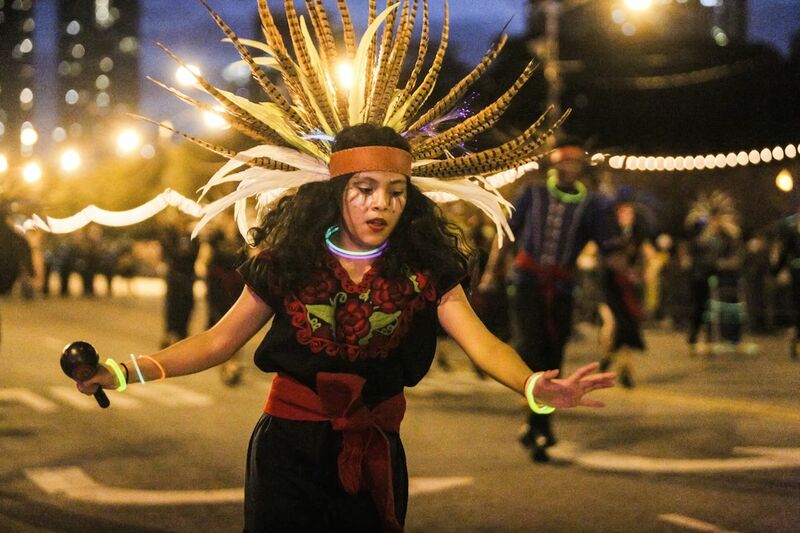 Kick it off with the Arts in the Dark Halloween parade on Saturday the 20th and celebrate the spectacle of floats, puppets, and performances from a vast wealth of local talent. With the Art Institute of Chicago, the Lookingglass Theatre Company, and programs such as After School Matters all contributing, it’s quite an event. Enjoy the drama with a backdrop of the skyline and be sure to dress up for the occasion, haters be damned! Enjoy every second of fall because winter is coming.